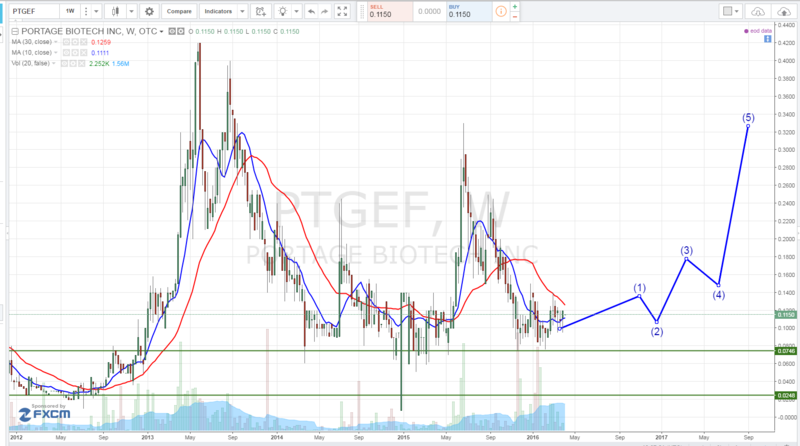 The investment community is keeping a watchful eye on Biotech Portage Biotech Inc. (OTC Market: PTGEF; Canadian Securities Exchange: PBT.U). Portage is still relatively unknown, as management has been quietly focusing on building the company and acquiring stock. They have not yet actively pursued an Investors Relations campaign, but are looking into one very soon. This could be the right time to look into Portage as an investment opportunity! Portage Biotech is poised to turn the Biotech industry on its head. The 3 largest shareholders are Portage’s Chairman Dr. Gregory Bailey M.D., CEO, Dr. Declan Doogan M.D., and Director, renowned investor Jim Mellon. Together they own over 50% of the stock. Equally important, is they are buyers! Bailey and Mellon subscribed to a total of $2.6 million into the last 2 private placements. They have also been buying large blocks on the open market. From March 2015 to present total purchases in excess of 18 million shares between them. This reflects the confidence that executives and management have in the company. Herein lays the brilliance of what PORTAGE BIOTECH IN COM NPV (OTCMKTS:PTGEF) brings to the table with their ultra-innovative ‘develop until proof of concept’ strategy. By tapping into some of the best minds in the game and funneling their resources into the Research and Development of their pipeline, and leaving the burden of hefty marketing and production costs to others, they can focus on what they do best – innovate and deliver life changing products! There’s something BIG happening over at Portage Biotech Inc. suggesting that more breakthrough ideas are still to come, and they want more skin in the game! ! We will be updating on PTGEF when more details emerge so make sure you are subscribed to Microcapspot so you know what’s going on with PTGEF. Disclosure: we hold no position in PTGEF either long or short at the publication of this article.